The Alabama State Board of Education has elected JSU's own Dr. Cynthia McCarty as vice president of the board for a one-year term. She was first elected to the state board in 2014. 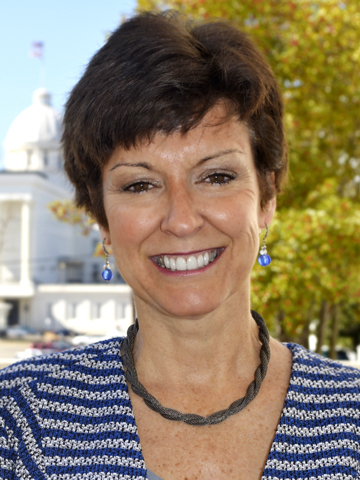 McCarty began her career in education at JSU in 1990, where she serves as professor of economics and director of the Center for Business and Free Enterprise Education and Entrepreneurship. The center provides professional development for K-12 teachers and education students, especially in the areas of economics, social studies and personal finance. McCarty grew up in Auburn and attended Auburn University. After graduating with a degree in international trade, she went to work for AmSouth Bank in Birmingham. She received her MBA from Samford University in 1986, and went on to earn her PhD in economics from the University of North Carolina, Chapel Hill. She has also been involved with several organizations focusing specifically on the need for economics education in Alabama’s public schools. She is a member of the National Business Educators Association, the American Economics Association and the Alabama Council for Social Studies. She has previously served as a board member for the Alabama Council on Economic Education.